The TJFP 2015 Report is Here! 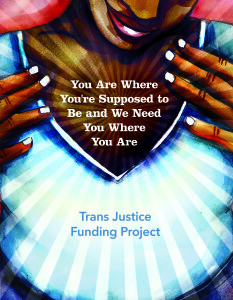 TJFP’s annual report is ready and waiting for you! In 2015, our community grant making panel gave out 85 grants to trans-led, grassroots groups focused on trans justice. The panel prioritized supporting groups led by trans women of color at the highest level. Learn more about these amazing trans justice groups, TJFP’s latest funding structure update, and reflections from one of our amazing 2015 community funding panelists. We promise you’ve never seen a report like this before! 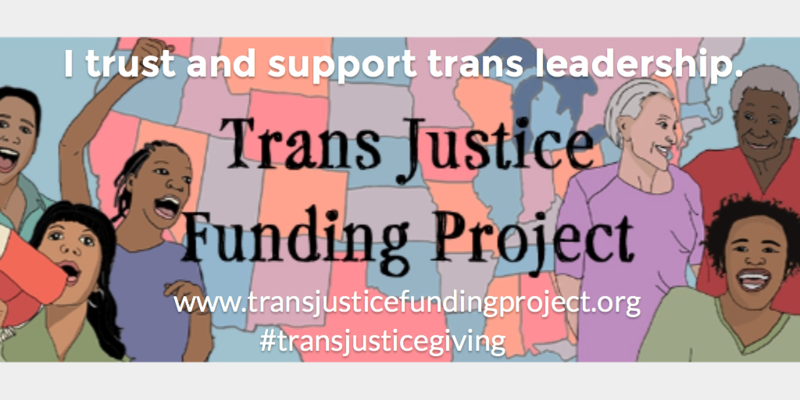 Every penny we raise goes to our grantees with no restrictions and no strings attached, because we truly believe in trans leadership. Comments Off on The TJFP 2015 Report is Here! From the Ground to the Sky… WE DID IT! You made it happen with us! Last night we met our April Fundraising Campaign goal, raising just a little over $15,000. 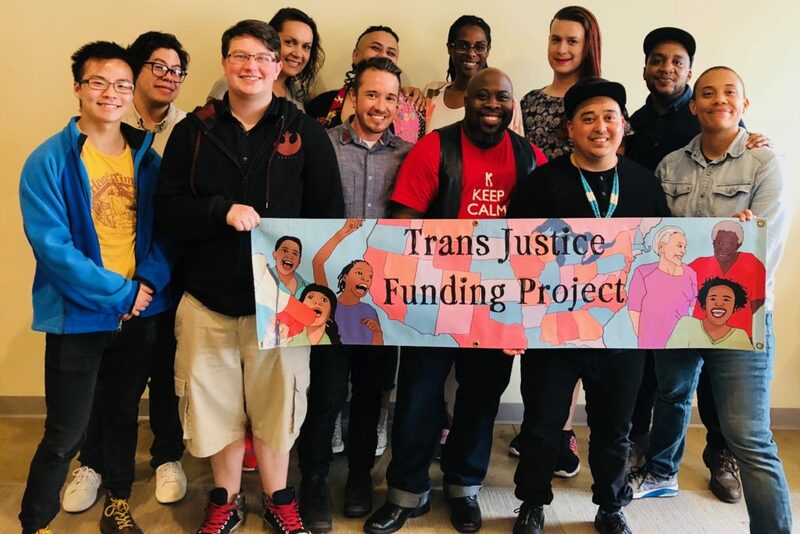 Because of you, TJFP donors and supporters, this weekend our community grantmaking panel will be able to move $200,000 directly to grassroots, trans-led, trans justice groups and organizations. I repeat, this happened because of you! Thank you for believing in us for another year. TJFP has the very BEST community and we love you everyday for it. We hope you feel as proud of all of this as we do. Please stay tuned for pictures and updates and we roll up our sleeves to do some grantmaking. 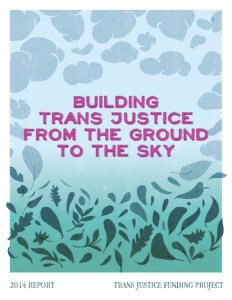 It feels so good to be building trans justice with you, from the ground to the sky! Comments Off on From the Ground to the Sky… WE DID IT! What do we want… TRANS JUSTICE! WHEN DO WE WANT IT… NOW! 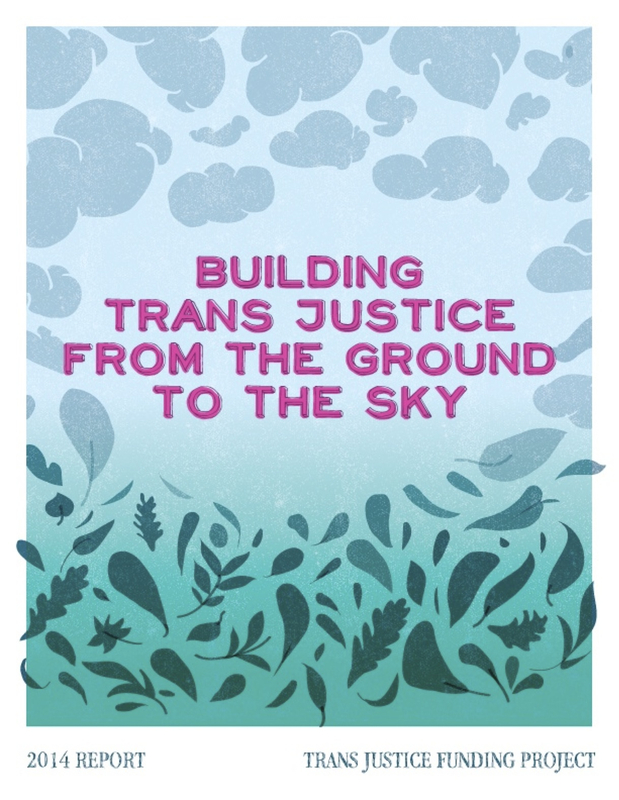 Here’s your chance to help resource trans-led, grassroots groups and organizations fighting for trans justice. There’s no donation too small to show your love and support today. 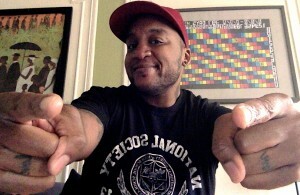 Join TJFP’s April Fundraising Campaign if you can! Comments Off on What do we want… TRANS JUSTICE! Introducing 2015 Panelist, Mel Goodwin! Another fierce addition to this year’s team! Mel Goodwin is a white anti-racist, radical, feminist, vegan, genderqueer femme living with a disability. Originally from Las Vegas, Nevada, Mel moved to rural North Carolina in June 2014 to live with their partner, a black transmasculine revolutionary. They are a first year law student at North Carolina Central University, a Historically Black University in Durham, North Carolina. 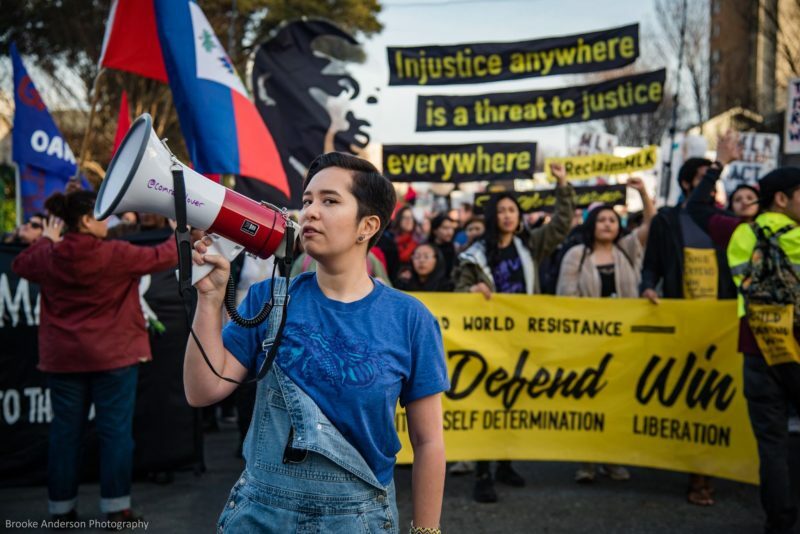 Their goal, if they complete law school, is to be a lawyer for the revolution, using their privilege in service to and in solidarity with transgender and queer people of color. Prior to moving to the South, Mel spent ten years working within the non-profit industrial complex, more than half of that time at a predominantly white, gay, non-transgender organization where they generally raised hell by encouraging the politicization of trans and queer youth and unapologetically advocating for, co-creating, and growing transgender programs and services, including one of the first multi-stall gender neutral bathrooms in Southern Nevada. Mel is also a co-founder of Gender Justice Nevada. As they approach their 30th birthday and reflect on the many transformative changes that have occurred in their life over the past year, Mel’s deepest desire is to learn how to live interdependently, build authentic, sustainable relationships, and be an accountable community member through healing their own history of trauma and abuse, engaging in liberation work that centers the leadership of trans and queer people of color, and developing spiritual practices. We’re already so thankful to have you be a part of TJFP, Mel! 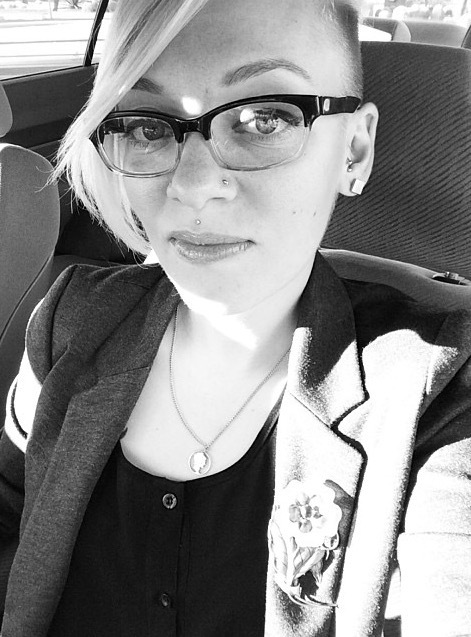 Comments Off on Introducing 2015 Panelist, Mel Goodwin!